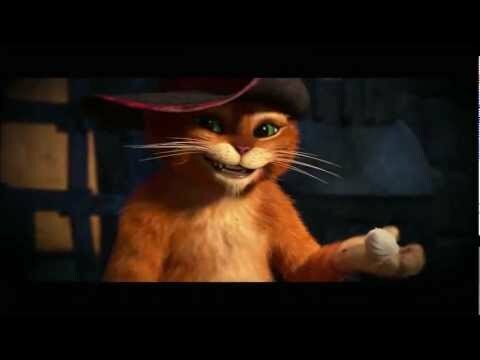 'Puss in Boots' movie quotes are hilarious, featuring great one-liners by the film's main character, Puss in Boots (voiced by Antonio Banderas). Some quotes from the 2011 animated movie are pretty simple ("Meow" comes to mind), but others are quite clever. All have one thing in common: They are funny. 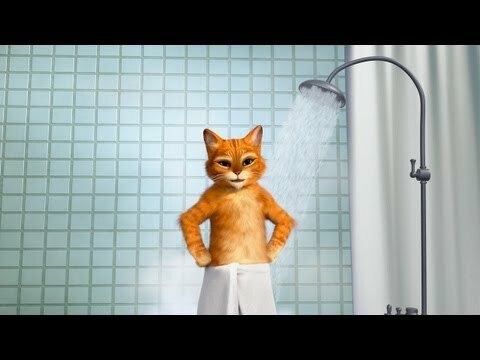 Dreamworks' 'Puss in Boots' movie promises to deliver some truly enjoyable comedy animation, as viewers get to see what Puss' life was like before he made his appearance in 'Shrek.' Enjoy these 'Puss in Boots' quotes, vote for your favorites and, if you don't see your personal fave quote listed ("Holy Frijoles! "), add it! 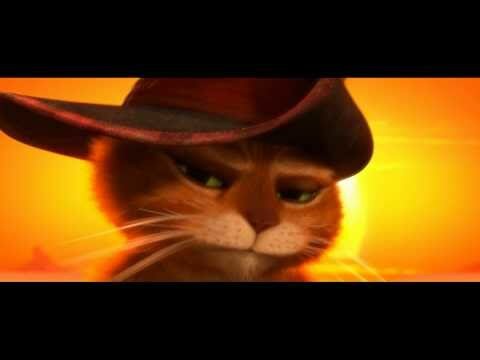 The 3D 'Puss in Boots' movie also features the voices of Zach Galifianakis as Humpty Dumpty, Salma Hayek as Kitty Softpaws, Puss' love interest (and professional kitty-thief), Billy Bob Thornton as Jack and Amy Sedaris as Jill. In the movie, Puss joins forces with Humpty and Kitty Softpaws to try and save his town from a band of outlaws looking to destroy it. 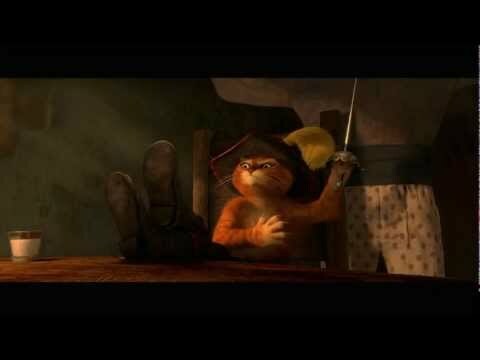 With the help of his friends, and of course, his boots, Puss can't lose! For more family and animated movie quotes, check out these lists for the best lines from 'The Smurfs' movie, 'Cars 2,' the original 'Cars' movie and other great Pixar movies! Puss in Boots: "Stay furry, my friends. Meowwww." Words of wisdom from this boot-wearing, sword-wielding, furry little fighting machine! Puss in Boots: "I am not looking for trouble. I am but a humble gato in search of his next meal. Perhaps you gentlemen can help me find a simple score." Puss in Boots: "You made the cat angry - you no want to make the cat angry!" Do. Not. Make. Puss in Boots. Mad. He wields that sword, and his claws, with authority. Puss in Boots: "All that I need are the boots!" Puss' magical boots protect him from all evil, allowing him to right wrongs in the world with kitty charisma! Puss in Boots: "It is hot in here, or is it me?" Puss in Boots is nothing, if not humble. Sort of a Pepe Le Pew of felines, don't you think?